It’s sometimes difficult to figure out what channel sells best and it’s even more difficult to predict what sales channel will work in the future. Evolving technology, ecommerce, and consumer behaviour makes it difficult to get it right. What product do you sell where and how? Some products can sell better at the physical retail level and some products can sell best online. Take for example candy, gum, and magazines, these all rely on impulse buying and are excellent for POP displays, or counter displays. When was the last time you’ve heard of someone buying a pack of gum or a chocolate bar over the internet. Or what about liquor, tobacco, or vitamins, these items are rarely bought by consumers online. As you can see, you should still use cardboard retail displays, and by extension retail packaging must be carefully considered. There are some products that just do not work well within the ecommerce space. Retail displays can offer lower costs than other forms advertising. For example installing a POP display and having it active for 12 months is much cheaper than producing a network commercial. Installing and producing an in store display can also be seen repeatedly by the same people since many people will shop at the same store at various frequency levels. Point of purchase displays are able to target consumers in a very precise way. For example retail displays can be placed in stores in regions and neighborhoods that align well with the desired consumer demographic. They can be used in stores located in more affluent neighborhoods, for example. It’s not always clear what may work and may not. The ability to test various version of displays in multiple stores can allow for quick evaluation. Retail stores in general see enough foot traffic where it’s possible to quickly and conveniently gather data and evaluate results. Check-out scanner system can provide sales data for convenient evaluation. Retailer are increasingly less reliant on sales persons. Sales people often have high turnover rates which can eat into profit margins. Sales people may also be inattentive and lack the product knowledge required to adequately explain product features. Effective POP programs can counterbalance this and transfer more control to the manufacturer. Consumers have more information at their fingertips than ever before. Consumers are more likely these days to seek special deals and wait for a sale. There are many mobile phone apps and other online sources that help consumers do this. This means that demand for certain groups of products can fluctuate more than before. 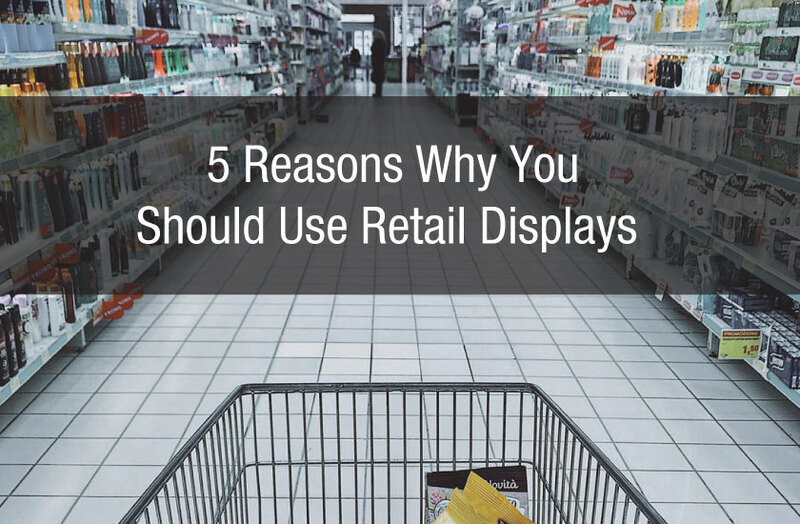 POP displays can be used to help educate consumers and offer more information about special product features even if they do not purchase the product, as they wait for a sale at another point in time.